Converge Gateway | Credit Card Industry, Inc.
Keeping up with consumer demands and evolving your business to meet them can be challenging. Accepting payments wherever your customers are doesn’t need to be. 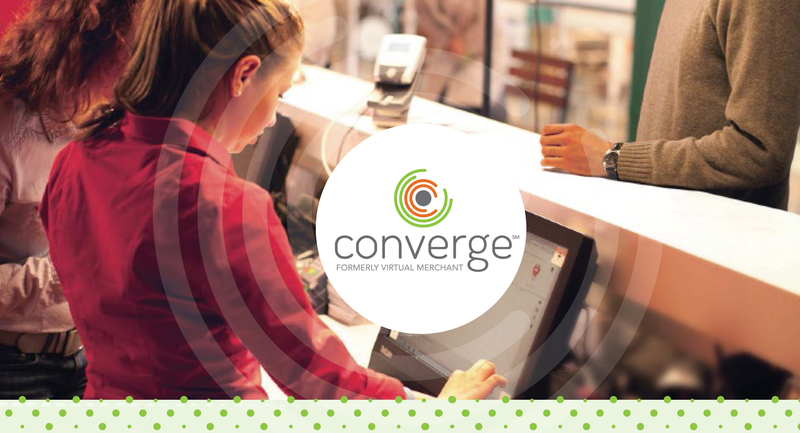 Converge is ideal for retail, restaurant and service industries and it’s easy for you to accept payments whether in-store, via mail order/telephone order (MO/TO), online or using a mobile device1. Converge helps you manage it all in one place, easily and securely online – without a major investment of money or effort. You can even handle recurring and installment payments with our single solution. With Converge you can accept a full range of payment options, including credit cards, PIN debit cards, electronic gift cards, Electronic Benefit Transfer (EBT), electronic checks and now mobile wallets like Apple Pay™ and Google Wallet™. You’ll also be ready for the transition to the EMV (Europay, MasterCard® and Visa®) global payment standard with our point-of-sale devices that can accept chip cards as well as magnetic stripe and contactless payments. From a payment taken from your own mobile device or PC to an e-commerce integration with your custom payment webpage, we have you covered. Are you looking for a payment solution that is flexible, secure and cost effective? With Converge, you can go where your business grows and lower your upfront payment solution investment. To learn more about Converge Mobile from one of our specialists, fill out the form below or call 1-800-528-1782. The Converge App is Now Available.